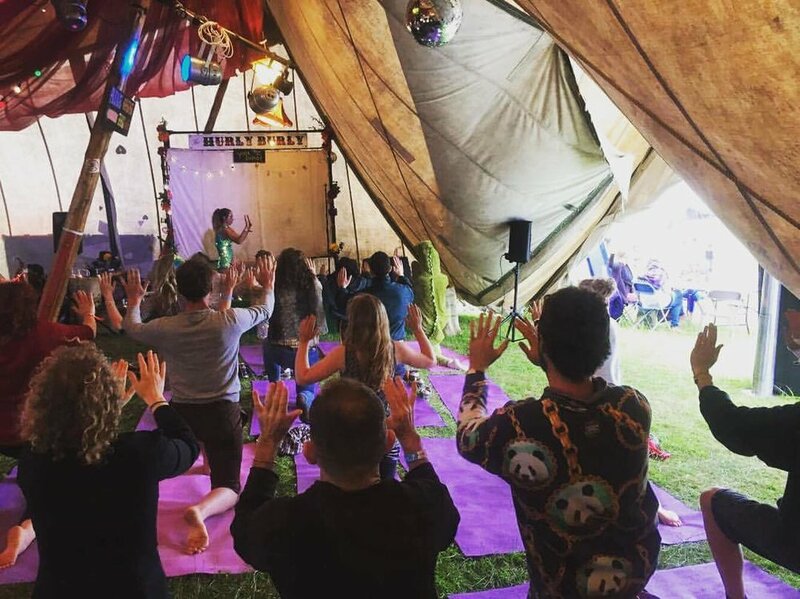 Founded by Pip Taverner Groove Om Yoga has been bringing glitter and sparkle to the yoga scene since 2014. The alternative night out, a chance to stretch collectively with a vibrant Vinyasa flow class and move to uplifting tailor made DJ mixes with atmospheric lighting. This event is a social gathering, a chance to meet new people, laugh, feel good and get sweaty. A sense of fun is essential, leg warmers and spangly leotards optional but very welcome! This event is suitable for all levels, beginners are welcome.